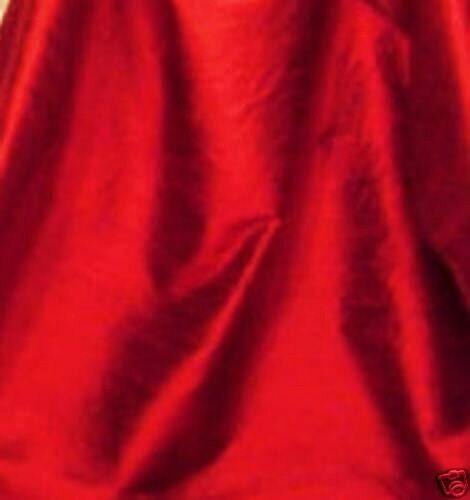 Ruby red dupioni silk fabric. Brand New High-end dupioni silk yardage. 45 inches wide. This dupioni is a red and black iridescent creating a lovely rich ruby red. 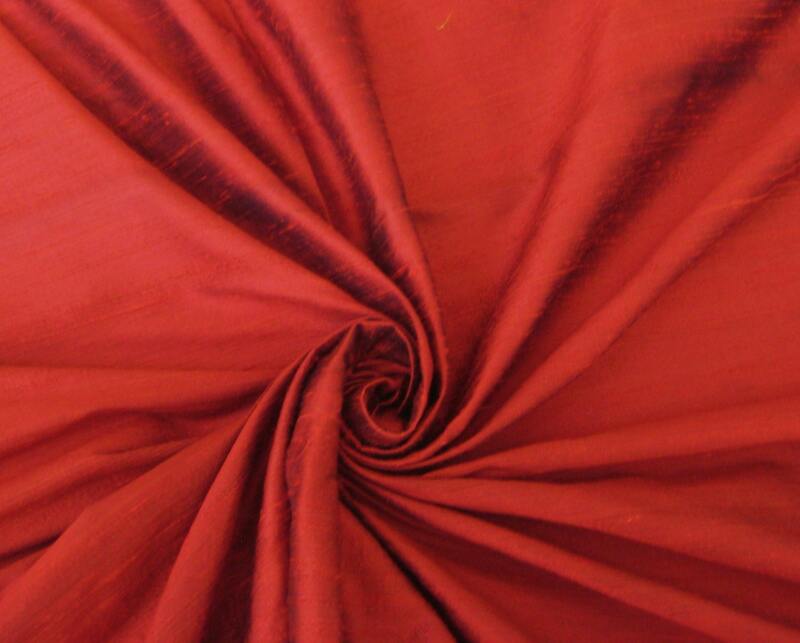 This is for one roll of Ruby Red 100% Dupioni Silk Fabric with a minimum of 32 yards. Please Note: Our rolls vary from 32 to 35 yards and you will receive a minimum of 32 yards for the price.